Tata Motors, India’s biggest commercial vehicle maker by sales, has planned out its growth trajectory to take on competitors such as Ashok Leyland, Mahindra and Mahindra and Eicher Motors in Asia’s third biggest economy. The Mumbai-based automaker is determined to both defend its leadership and increase volume sales and market share in a very competitive commercial vehicles space in the world’s fourth largest vehicle market. Guenter Butschek, CEO and managing director at Tata Motors reiterated his Turnaround 2.0 strategy to enhance the company’s top and bottom line performance by overhauling the domestic supply chain, building up new product portfolio and organizational structure. Significantly, its ‘Turnaround 2.0 strategy’ first focused on its bread and butter business of commercial vehicles somewhere in mid-2016. The company was successful with the turnaround efforts that were visible in the third quarter last year. On a standalone basis, Tata Motors India returned to the black with a net profit of Rs 183.65 crore on revenue of Rs 16,102 crore, up 59 per cent in the three-months ended December 31. “With our Turnaround strategy 2.0 we gained volume sales and market share in the domestic market,” Butschek said while visiting the company’s Pimpri factory, near Pune. This was the proper answer for the highly competitive and volatile Indian market, he pointed out. “We will continue our turnaround strategy into fiscal 2018-19,” Butschek, said, adding that success creates hunger for further success and “we are hungry”. The company is all set to further ramp up its capacity to enhance its sales and outpace the market across all segments. “This means we are bound to gain further market share,” Butschek said confidently. He said it was critical for Tata Motors to get the revenue and profitability right in terms of the commercial vehicle segment. “The logical consequences of our ‘Turnaround strategy 2.0’ is that because it worked for commercial vehicles, it should also work for the passenger vehicle as well,” Butschek said. However, the turnaround is not complete for the commercial vehicles. Despite investing in additional capacities, de-bottlenecking its own machine operations and supply chain to increase overall output by 70 per cent, there were number of restrictions in heavy and medium commercial vehicles. This at a time when demand for heavy and medium commercial vehicles was rising across the country due to overloading ban imposed in some states during the year. “The restrictions we had were lesser on our side but on the suppliers’ side. These are constraining our movement in market share,” Butschek pointed out. “We expect to be almost unconstrained by the second quarter except that as we move forward, something else will pop up which we don’t have on our radar,” he said. Butschek at a roundtable discussion with media in April had said that following good initial results in the December quarter, Tata Motors had experienced higher sales volumes, multiplied with products with better contribution margins and profitability in the fourth quarter, without giving any indication. 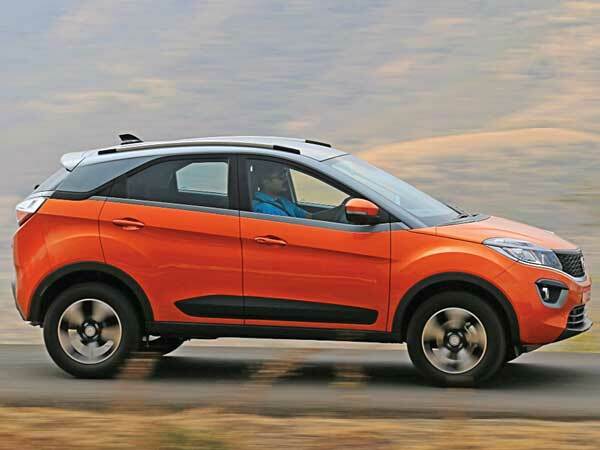 However, when Tata Motors declared its fourth quarter earnings on May 23, it reported a loss of Rs 500 crore in its standalone business after having seen a profit in the previous quarter. But that was attributed to exceptional investments made in the business and impairment of some assets. There is no doubt that there are visible signs of a domestic turnaround, as N Chandrasekaran, chairman at Tata Motors said in a media statement. “We gained market share in both commercial and passenger vehicles with strong improvement in profitability and positive cash flow,” he pointed out. The company’s consolidated net profit fell 50 per cent to Rs 2,125 crore compared to the same quarter last year. The drop in profit was largely due to a Rs 2,113 crore investment made by Tata Motors towards new vehicles and technologies during the quarter. “We invested for growth, launched exciting new products and established landmark partnerships,” Chandrasekaran had said. Butschek reiterated the brand’s ‘Turnaround 2.0’ strategy for the passenger vehicles segment, focusing on driving market share and profitability at the fourth quarter earnings event in Mumbai. Significantly, the company posted its first positive free cash flow in five years. And its cash position is poised to improve further as it looks to enhance market share in the commercial vehicles segment. Tata Motors improved market share by 50 basis points (100 bps = 1 per cent) to 45.1 per cent as of March 2018. More importantly, it arrested the fall in market share through introduction of new models and discounting. The company’s share in the passenger vehicles segment also rose by 50 bps to 5.7 per cent. Butschek said FY18 has been a hallmark year for Tata Motors with a record breaking sales performance, increase in market share and the standalone business turning profitable before one-time exceptional charges. “As we step into ‘Turnaround 2.0,’ we would like to embed Turnaround thinking within Tata Motors and our business plan will continue to remain robust in terms of sales, market share and financial performance,” he said. Moreover, he said the company wants to structurally improve the business with reinforced and focused actions in passenger vehicles, and continuing the momentum in commercial vehicles from last year. “Our future pipeline is full of attractive products, bundled with the most desirable and customer-centric service offerings. We will continue to enhance the organisation’s effectiveness, enabling greater speed, simplicity and agility in our efforts. These interventions give us the confidence to deliver competitive, consistent and cash accretive growth over the medium to long term,” Butschek said. With the overall light commercial vehicle market booming in the country due to surging demand for inter-city and last-mile transportation across multiple applications, the company has turned its attention to making the most of the opportunity. It launched its 14-strong Ultra range of intermediate light commercial vehicles, which have 50 applications. These are powerful, robust trucks ranging from 7- to 16-tonne GVW with the flexibility to cater to various fully built applications. Powered by indigenously developed 3L and 5L Turbotronn series engines, Tata Motors claims that this new range of trucks offered superior performance, increased payload capacity and industry best mileage, which together enable significant increase in revenues and lowest cost of operation. New emission norms and implementation of GST have seen the emergence of a hub-and-spoke model of transportation wherein heavy trucks and trailers are used for long-distance transportation and small and intermediate trucks for city transportation. Over the years, the demand for small and light commercial vehicles has seen a significant uptick as demand for intra-city has increased with the ongoing boom in the e-commerce segment.